Skandacor's Bindaply Wire Binding elements give your projects a professional look and keep the pages in perfect registration. Our tamper-resistant binding wire allows your books to lay flat when opened. 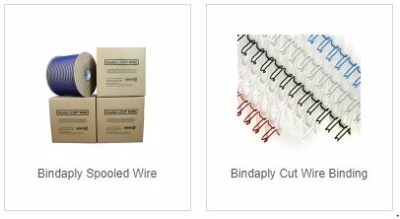 These premium wire elements can be used with all standard binding systems, we stock Black, White, and Silver in 11" lengths, and Black and white in spools.